In our previous article we talked about the creator of FLOW-MATIC, the first data processing language with an English-like syntax. Now is time to talk about the creator of its successor: COBOL, one of the most widely used programming languages in the world. 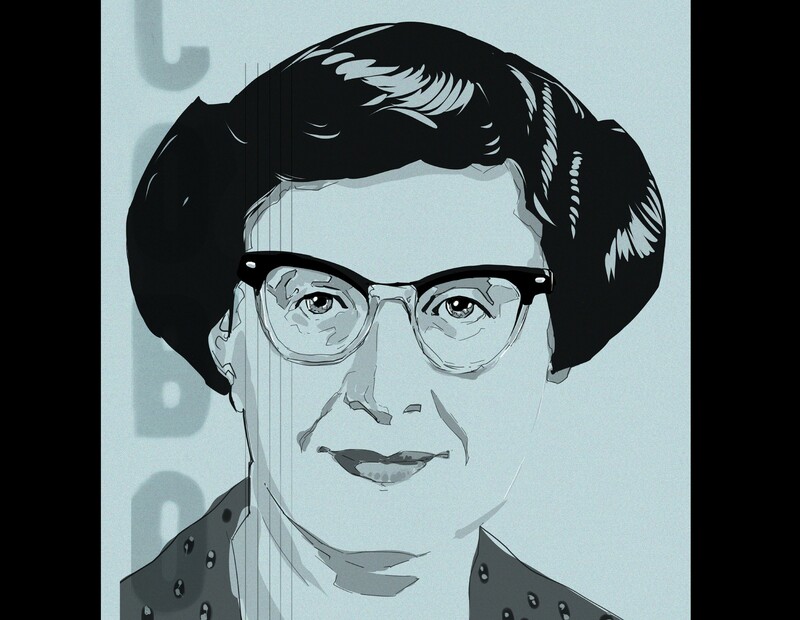 Besides being known for creating widely popular programming languages like COBOL, writing one of the most influential books about the history of programming languages, or being the first woman president of the ACM, Jean Sammet had very humble origins into her profession. Let’s read some of those anecdotes. While she was working at Sperry Gyroscope in the early ’50s, her boss had the realization that computers were the future… so he told her that they were going to build one. What was Sammet’s reply to her boss? I don’t know, but I know we need one! It didn’t take much for Sammet to become the lead programmer at Sperry Gyroscope, but the future would make her cross path with one of computing greatest, Grace Hopper. This led to a cross pollination of ideas, that later helped Sammet on her work in COBOL and FORMAC. Jean Sammet is well know for her work as a programming language historian. Back in 1969 she published the book Programming Languages: History and Fundamentals, where she classifies around 120 programming languages. In that book we see curiosities like DSL/90, which stands for Digital Simulation Language; COLINGO which stands for Compile On LINe and GO; Lincoln Reckoner, which wins the prize of most interesting programming language name on earth; and of course STRESS, because why not? 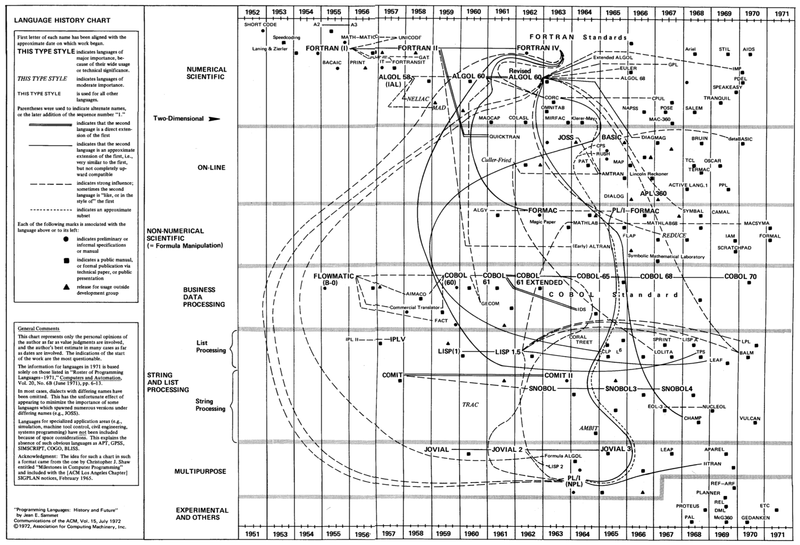 Jokes aside, in her 1972 paper Programming Languages: History and Future she left us with one of the coolest charts about programming language history. We leave you to it. Until tomorrow! Advent Calendar — Help us make it a book! From December 1st until December 24th we plan to release one article each day, highlighting the life of one of the many women that have made today’s computing industry as amazing as it is: From early compilers to computer games, from chip design to distributed systems, we will revisit the lives of these pioneers. Each article will come with an amazing illustration by @SebastianNavasF. If you want to see these series to become a book with expanded articles and even more illustrations by Sebastián, then subscribe to our newsletter below. Bergin, Thomas J. Jean Sammet: Programming Language Contributor and Historian, and ACM. IEEE Annals of the History of Computing, 2009. Sammet, Jean E. Programming Languages: History and Future. CACM 1972. Sammet, Jean E. Programming Languages: History and Fundamentals. Prentice-Hall, 1969.